Thought I would let you know my first two books are on sale. These books are grand adventures that will open up a new world of adventure and imagination for your child. Bonus a dragon is on every illustration. small city here in Michigan. It will be out soon in eBook as well. Amazon has quite the sale going on in print below $7. Just click Tomfoolery’s cover to check it out on Amazon. Already have two nice reviews. 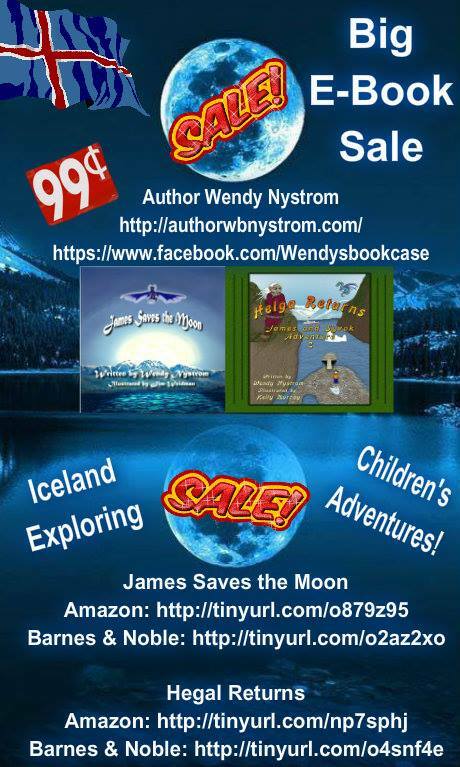 It is a wild adventure for James and his pals during the 26 days of Christmas Holiday in Iceland. This is my favorite story. If you are looking for a little Christmas in July grab it now. Why Christmas in July. Well my dear friend Chris, a couple of years ago told me at lunch one day. One side of her family celebrates Christmas in July. I of course asked why and said really! Do any of you celebrate Christmas during the summer months except for the southern hemisphere? Christmas is everyday if you are blessed with having those you love near you.